With all this horrible wet and humid weather on the Gold Coast, nothing tastes better than some good, and very cheap, traditional Japanese food at the Japanese Express Restaurant located near tower 1 and 2 of Southport Central area. 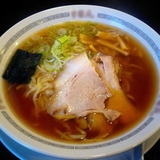 There is an absolute variety of foods, from noodles, ramen, rice and cook your own food. They give you a mini grill with the recipies you need and want and then you're the professional Japanese Chef all of a sudden. If you are too lazy, like me, and enjoy eating from the hands of someone else, then you can just order a pre-cooked meal either to have there, or take away. I ate the barbeque pork with rice and it was so good and very filling, I wasn't able to eat anything else for the rest of the day. The good part is though, that the food was in a huge bowl and it was all for $8.00. Is that a bargain or what? Plus I had to leave some over and consume the rest when I got home that night. I advise everyone to go to this place for sure because it is worth it and it is wonderful that right after you're done there, you can head over to the Southport section of Maurita's Bakery for a coffee and cake, if you can fit anything in afterwards.